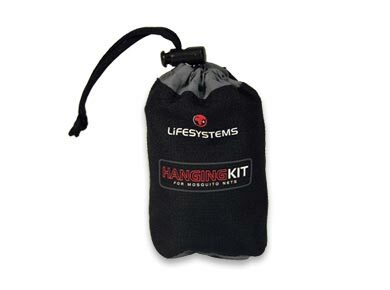 The Lifesystems Mosquito Net Hanging Kit is an essential bit of kit if you think that you'll be using your net frequently. All Lifesystems and most other companies' mosquito nets come with a hanging solution, but it is easy to lose these, or leave them behind. The Mosquito Net Hanging Kit comes with a number of hooks, sticky pads, loops and a length of string to help you to hang your net whatever your situation.